He soon began to threaten me with a knife to have s*ex with him and when I refused, he brought out his gun, warning that he would kill me if I shouted. These were the words of a 15-year-old girl, who was abducted by Boko Haram and forcibly married to one of its commanders in a camp in the Sambisa Forest, Borno State. The girl, according to a report by Human Rights Watch, was abducted in 2013 but she escaped after four weeks in captivity. The teenager is one of the five girls that personally recounted their ordeals in the publication which was made public on Monday. She said that after her marriage to the commander who was in his early 30s, she was ordered to live with him in cave. The publication provides details of how hundreds of girls and women aged between 15 and 22 were being made to suffer other forms of abuses and used for ambushes. 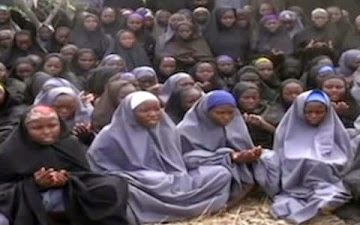 The HRW said in the report that it spoke to 47 witnesses and victims, including some of the Chibok schoolgirls kidnapped from their hostel in April this year. The group also described how some of the Christian abductees were ordered to convert to Islam or be executed. It claimed that four of the eight se*xual assaults it recorded occurred after the girls and women were forced to marry Boko Haram combatants. According to the HRW, before “marriage,” the commanders appeared to make some efforts to protect the women and girls from sexual assault. An 18-year-old victim also described how an insurgent s*exually abused her when she went to use the bathroom. Another woman, who was r*aped in 2013 in one of the militants’ camps near Gwoza, described how a commander’s wife seemed to encourage the crime. Another woman aged 19, who was married and had children, described how she and one other woman were ra*ped after having been abducted in April 2014.